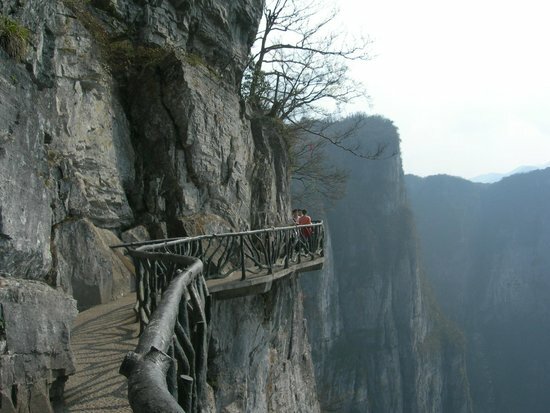 Ta Phin Cave is located in Ta Phin Commune, Sapa District, Lao Cai Province. 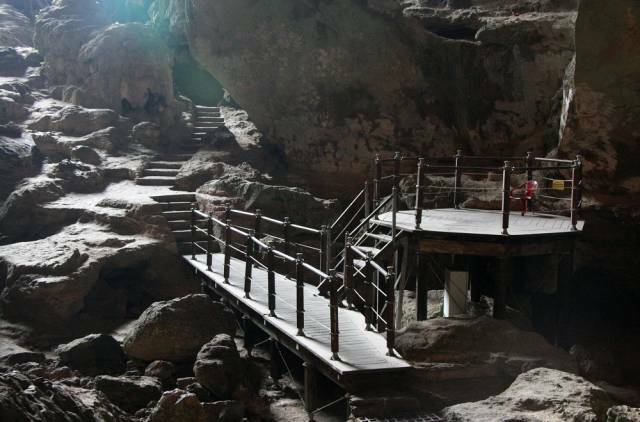 Characteristics: Ta Phin Cave is home to many valuable studies, archeology, travel and sightseeing. Ta Phin 12km from Sapa town, angling to the north, where there are two Dao and H’Mong residents.Ta Phin Cave – The Ta Phin Commune People’s Committee headquarters near 1km north of the limestone mountain range, is a branch of the Hoang Lien Son range. In the mountains there is a small mountain, foothills cracked a cave, a height of about 5m, 3m wide, open a regular path to ground. The Dao children also surrounded us to rent us the torch light. The problem was there were a few of them persuaded you to rent from them, so Adeline did have a hard time figure which one to rent. The torch normally cost VND 2,000. 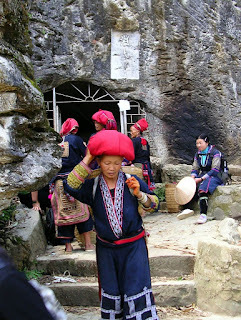 The Red Dao is easily identifiable by the large red headdresses worn by many of the women. 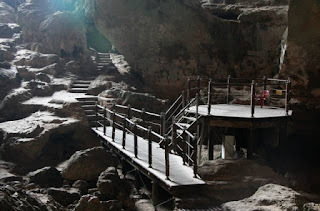 Ta Phin grotto is just a small and unimpressive cave, and it’s completely dark inside. Bring a torch, else make sure the torch light is bright when renting one.